All City parks and properties provide protections to bird habitats. The City of Altoona is home to a few natural areas that provide wonderful bird habitat. Firstly, is the Otter Creek Rec Area located at Centennial Park (44.806545, -91.461151) which is home to nearly 30 acres of property that is home to biking/hiking trails. Secondly, is the River's Edge property (44.819777, -91.448374) along the Eau Claire River which is home to 10 acres of protected land. These spaces provide great nesting areas for many different bird species. In particular, the Eau Claire River corridor is home to various birds of prey such as the eagle and osprey. Various other bird species also call River Prairie home such as the Red-winged Blackbird and the Killdeer. The City Council of Altoona adopted an ordinance (Chapter 19.15 Environmental and Natural Resources) which addresses various sensitive landscapes (shorelands, woodlands, prairies). Shorelands, woodlands, prairies are important bird habitats. These standards are intended to create a set of guidelines to minimize impact on the highest ecological value areas and provide standards for development in other woodland areas. I’ve attached this chapter for your consideration. The City of Altoona in cooperation with the Wisconsin Department of Natural Resources has planted a couple hundred shrubs/trees along the Eau Claire River which will add some great bird habitat to that area. The City is also working in cooperation with the Wisconsin DNR with consultation from the Audubon Society in regards to Purple Martin houses that are located in River Prairie. We've also erected an Osprey platform in River Prairie with consultation from the Audubon Society regarding placement. U. Show that your community maximizes the value of right-of-way space (e.g., power lines, pipelines, etc.) by planting them with native grasses, shrubs, herbs, and other prairie/grassland plants. An example of how the City of Altoona maximizes the value of right-of-way space by planting native grasses is exampled with our Lake Road Prairie remnant in which the City has maintained prairie grasses within the 0.8 acre parcel. A few years ago, the City held a controlled burn in this space and planted wild grasses and flowers. The Lake Road Prairie remnant is a true public right-of-way space, as it is at the intersection of Moonlight Drive and Lake Rd. I have included an image that displays the Lake Road Prairie right-of-way space. Ann Lein, Administrative Assistant / Deputy City Clerk, completed the Wisconsin Community Tree Management Institute in the 2011 – 2012 cycle. Ann is the currently responsible for managing Altoona's trees. F. Demonstrate that your community enforces an ordinance that requires domestic cats to be kept indoors, on a leash, or in an enclosure to prevent them from preying on birds and other wildlife and spreading disease. The City of Altoona recently passed a pets in parks policy which allows residents to walk their dogs and cats in City Parks (Chapter 12.28). This ordinance stipulates that animals must be on a leash (amongst other provisions). Other ordinances exist that disallow pets to roam free (Chapter 6.08). The City posts these ordinances on their website and has included information in its bi-annual newsletter. At this time, the Police Department has not had to enforce the ordinances but stands ready to do so if an issue arises. If an individual is found to be in violation of the leash policy, enforcement of the said policy would lead to ticketing/fine for the violator. The City of Altoona has informational links placed in the FAQ section of its City website which aims to educate property owners on methods to create and enhance backyard habitat for birds. The City of Altoona is considering developing a new website in the near future. At that time, we will create a devoted Bird City page. The City of Altoona is responding to progressively evolving community expectations regarding access to parks, recreation, and public spaces. This challenge relates to accessibility to public spaces and is also an extension of an increasing community expectations for quality of life amenities. Additionally, our citizens have expressed significant interest in the walkability and bikeability of Altoona streets, sidewalks, and multi-use trails. As a municipality, we have been as proactive as our budget allows in advancing access to mixed-use trails which foster alternative transportation in Altoona. The City of Altoona currently has approximately 9 miles of multi-purpose paved recreational trails within City limits with approximately 1.8 miles of additional paved trails that will be added in 2019. All of our trails are geared for transportation that does not produce CO2. We do not allow motorized vehicles on our trail system. Altoona's trail networks connect to regional biking routes such as the Chippewa River State Trail / Chippewa River Trail and provide alternate transportation routes for our residents to walk/bike to and from their places of employment or other regional businesses. Our trails also provide safe routes to school for children to walk to/from school. There are a number of Altoona residents whom utilize our trail network to commute via bicycle. Altoona has a trail that extends from the River Prairie Development (Woodmans Grocery Store and numerous restaurants) to the residential areas which residents utilize to walk or bike to/from. Another trail extends from the residential area of Altoona which serves as a connector to Eau Claire. Another trail in progress will extend from the residential area to the new Elementary School. All of our trails are intended to provide residents an option to safely travel places without driving. On November 24, 2015, the Altoona City Council took action to authorize the purchase of 459 solar panels from the Eau Claire Energy Cooperative for $299,000. This purchase was made based on locking into a rate for 20 years, the City would recuperate within 15 years and that the savings would be realized the last 5 years, due to fixed rates. I have a copy of the formal resolution attached as well as a media link. I. Document that your community is part of the Energy Independent Community program. The City of Altoona is a member of the Energy Independent Community program and was a recipient of their grant program. In February of 2010, the Chippewa Valley Partnership (made up of the City of Eau Claire, the City of Altoona and Eau Claire County) received an Energy Independent Pilot Community grant from OEI to create a plan towards 25 percent renewable energy. Funding originally came from the 2009 American Recovery and Reinvestment Act’s Energy Efficiency and Conservation Block Grant Program. The partnership spent the year establishing their own energy baselines, working on individual and joint projects, and creating a plan to lay out how each local government will achieve 25 percent by implementing energy efficiency and renewable energy type measures. In order to meet the Chippewa Valley Partnership’s 25x25 energy independence goals, it was necessary to measure the existing energy usage at City of Altoona facilities. The City was also required to measure fuel usage by City vehicles. One discovery, and surprise, for the City of Altoona was that its existing buildings were fairly energy-efficient. During renovation of the City Hall/Library building a number of measures such as occupancy sensors, T8 fluorescent lighting, daylight sensors, and higher efficiency HVAC equipment were incorporated into the renovation. Many of the same measures were incorporated into the Emergency Services Building as well, including an ultra-high-efficiency water heater. The Parks & Recreation Maintenance Building was reviewed previously by Focus on Energy and found to be very efficient. The building is insulated well and has newer HVAC equipment. As a result, potential renewable energy projects that would be suitable for a low-efficiency, older building were less attractive due to the long payback period. The City, in the end, grouped fuel use by department rather than by vehicle. It was found that quantifying use by vehicle was unrealistic. I have attached a document confirming our status. On May 11, 2019, the City of Altoona is hosting River Prairie Festival(formally the P10 Festival last year). This event will promote the education and awareness of birds and nature. This event will consist of various educational speakers (including a bird/birding education session), recreational activities, photography contest, and activities for the whole family to enjoy. This event is currently being planned and is developing rapidly. We've chosen a bird as our festival art the last two years (a Blackburian Warbler in 2018 and a Crow this year in 2019). We are also planning to showcase our festival bird image throughout Altoona, with a guerilla marketing campaign. Our event will incorporate the IMBD theme relating to plastic pollution awareness, with recycling stations present and a deliberate emphasis during our bird education session. We will be sure to refer to the WMBD page for resources. 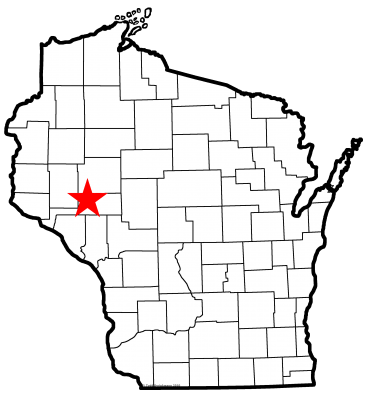 Altoona's River Prairie is also hosting the 2019 Wisconsin Society of Ornithology Convention. We have worked with Steve Betchkal, President of the Gaylord Nelson Audubon Society, a few times before and he strongly shifted the discussion of hosting the 2019 Convention in River Prairie. This event will take place May 24 - 27, 2019. We hope you consider attending and we hope to see you there.